Hydrogen suppliers and FCEV auto makers Air Liquide, Hyundai, NEL, Nikola Motor, Shell and Toyota have signed a memorandum of understanding for hydrogen fueling components, for the purpose of testing state-of-the-art heavy-duty hydrogen fueling hardware to assist in standardization and speed to market for fuel cell electric trucks. The cross-industry group of vehicle and infrastructure companies has signed an MoU with the purpose to test pre-commercial 70MPa hydrogen heavy-duty vehicle high-flow (H70HF) fueling hardware for future Class 8 (40 ton) trucks. The industry group has created specifications for the fueling nozzle, vehicle receptacle, dispenser hose and breakaway device components for this heavy-duty application for the purpose of developing request for proposals to suppliers. The group is requesting notification of suppliers’ intent to participate in a pre-commercial development and test program designed specifically for the fueling hardware. The fueling hardware samples will undergo performance tests in accordance with the appropriate SAE/ISO/CSA industry standards along with additional aspects for this emerging market. 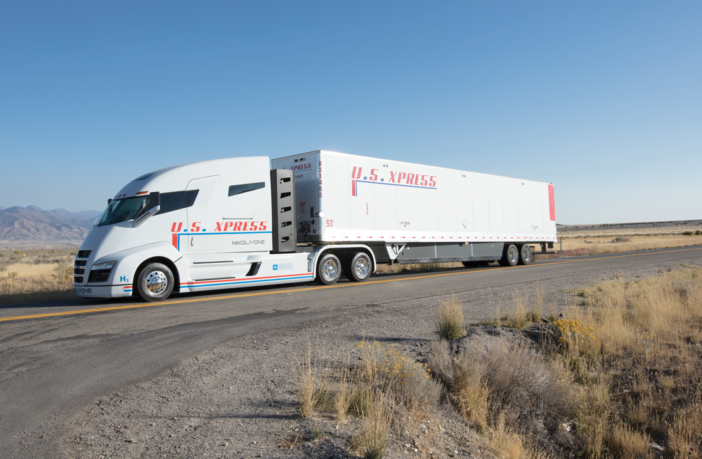 “Heavy-duty fuel cell trucks offer the same range as their conventional diesel counterparts and fueling hardware is being developed to fill in 10 minutes,” explained said Jesse Schneider, executive vice president, Nikola Motor hydrogen and fuel cell technologies. You can read more from Schneider in the July 2018 issue of E&H Vehicle.